Back cover blurb: Eva Dunbar wakes in a large metal box. She has no idea who has taken her. She has no way out. She isn't the first young woman to disappear. And with no leads Detective Ian Bradshaw has precious little time. When at last a body is found, the police hope the tragic discovery might at least provide a clue that will help them finally find the kidnapper. But then they identify the body - and realise the case is more twisted than they ever imagined . . . The Chosen Ones is the first Howard Linskey novel that I’ve read, and it certainly won’t be the last! When Eva Dunbar awakes in a large secure metal box after a night out, she has no idea how she ended up there, no idea who bought her there, and no idea how to get out. She isn't the first woman to disappear in the local area, but the stretched local police force take a little while to connect Eva's disappearance with the (largely) unsolved cases before hers. The discovery of a woman's body, leads the detectives to believe that they may have had a breakthrough, but this is one of those cases that is never going to be that straightforward. DI Bradshaw is not one to give up, no matter what his colleagues opinions on him, particularly when he calls on some slightly unorthadox external help, in the form of two local journalists Carney and Norton. He is determined to solve the case, and the investigation throws up plenty of twists and turns to keep them all on their toes. This is apparently the fourth book in a series featuring Bradshaw, Carney and Norton, but I wouldn't have realised that, had I not been told. It can certainly be read as a stand alone. 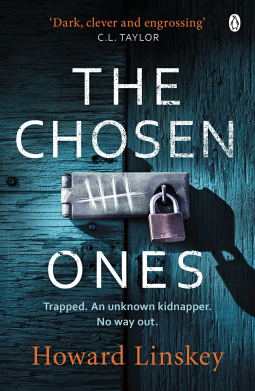 The Chosen Ones is a very clever, very dark novel and I look forward to reading other novels by this author. The Chosen Ones is available now via Amazon online and all good book shops.